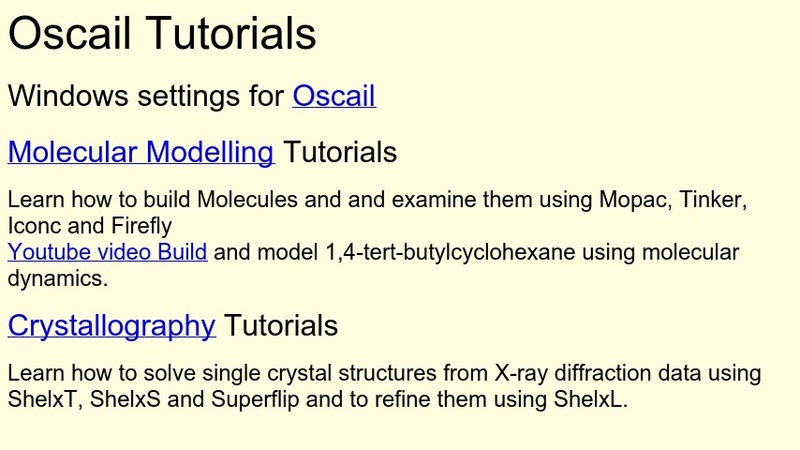 Tutorials for the Oscail tool. Molecular modeling includes building and displaying carbohydrates, proteins, fats, and DNA/RNA. Crystallography includes use of cubic and hexagonal diamonds, and octahedra. Also, examining and building lattice network.